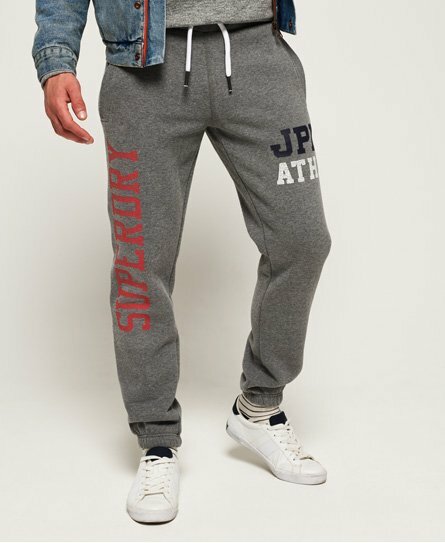 Superdry men’s Track & Field joggers. These joggers feature an adjustable drawstring waist, two front pockets and one rear pocket. The Track & Field joggers are finished with the Superdry logo designs on both legs and a Superdry logo tab on the rear pocket.